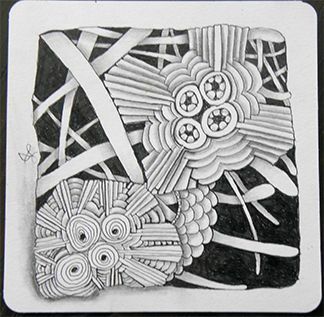 At this joyous time of year we are happy to share some more Zentangle treats with you. 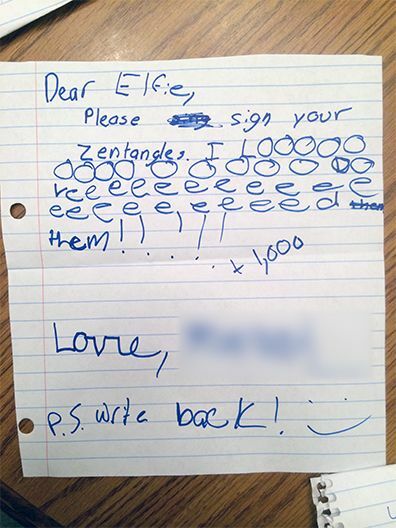 Please sign your Zentangles. I LOOOVEEED them + 1,000! 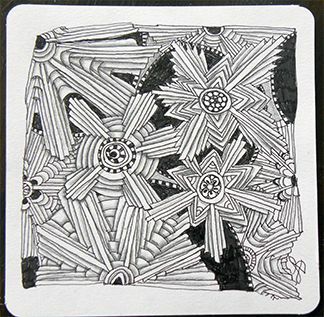 I attended a Zentangle class from CZT Candy Anderson and fell in love with it. I thought how cool this would be for my public Montessori students, goes right along with the peaceful qualities of our philosophy and they are all familiar with mandalas. I purchased the Zentangle Apprentice Classroom Pack and we decided this would be their holiday presents to their families. They fell in love with it, they were all focused and have begged to learn more. Now the kicker is these kiddos are first, second and third graders! We have one student who cannot write his name or any letters, but was able to do this. 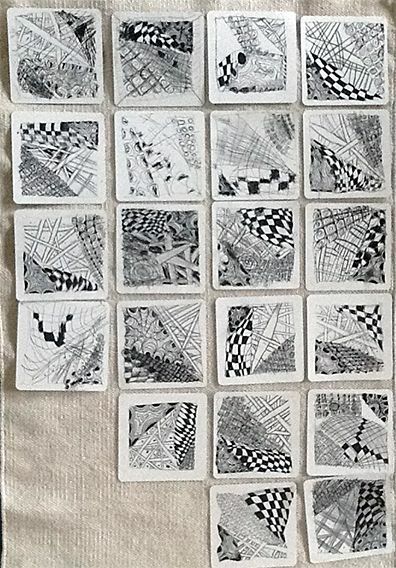 We put their Zentangle tiles in frames and hope their families love them as much as we do! We've seen lots of great arukas creations after Molly gave instructions in this newsletter, particularly in this issue of Laura Harms' IamtheDivaCZT aurkas challenge. Wow! I just love the new tangle Arukus! I tried one out as soon as I read about it in the news letter! Then I just kept making more, I couldn't stop, it was too much fun! While LD tangled on Apprentice tiles (above), Tina Hunziker, CZT, from Switzerland, tangled on smooth river stones! By the way . 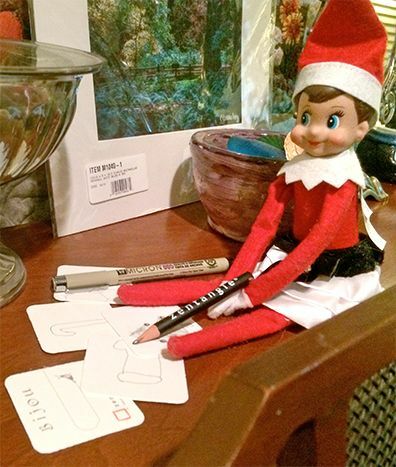 . . you can "meet" Tina as she tells her Zentangle story in the Zentangle Story Booth. "Story Booth" is a real treat . . . we just added six new Stories . . . so, pour yourself a comforting glass of whatever comforts, sit back, . . . and enjoy! "Amsterdam - Day 2 of . 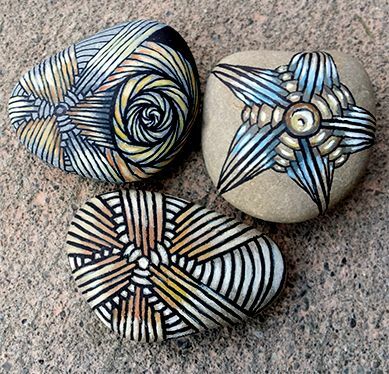 . ."
"Calm Down and Get Your Zentangle On"
"What I liked about the class was there was an emphasis on the fact there is no wrong. There is no eraser. It's not about replicating the work of someone else, or replicating lifelike structures. We didn't see what we were 'aiming for', just given instructions, and in following them as we each could, got to a point that revealed itself to be a thing. A complex, abstract thing, each the same and each unique. "This kind of [art] is something probably we've all done, on the phone maybe. Now a couple of Americans have formalised it, put a philosophy behind it, named and branded it and constituted a course for teachers. It's now a movement. This is both odd and cheering - capitalistic and hippie. For once, I don't feel like I've been duped by a sales pitch. "Regardless of whether you buy into the philosophy, the class was successful in that because no one left feeling like art was foreign or impossible, or what they were wrong. Somehow, this zentangle enables. It's both pointless and pointed. Nothing needs to be done with what you create, or as some have done, you can build a career out of it. It can be a casual stress reliever or a passion. I'm yet to decide, but I can see the possibilities in it for a writer." Thanks, Bec, for describing your experience in those eloquent words. Read Bec's entire blog post here. 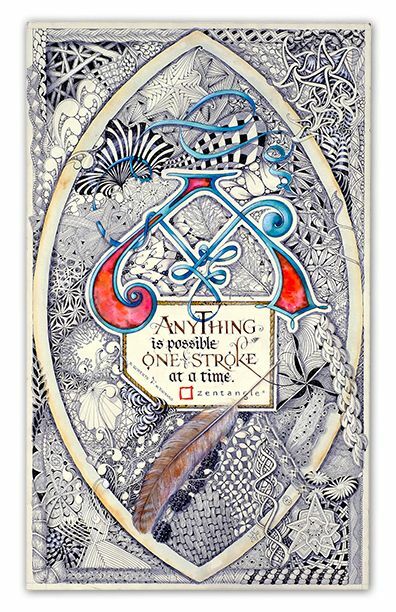 That is our Zentangle slogan. It's also a new custom, signed print. Maria began with a combination of lettering and gouache, then Maria and Rick tangled and shaded. 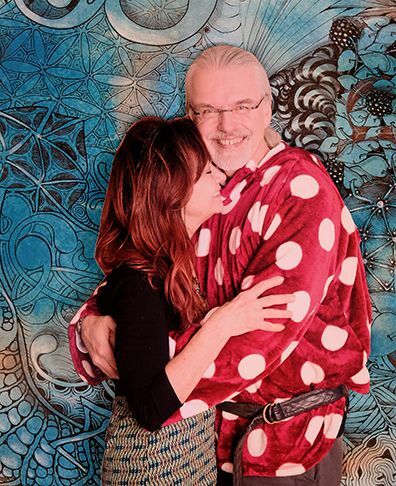 Each print is individually printed on fine art paper and signed by Rick and Maria. Size is 11 x 17 inches (28 x 43 cm). 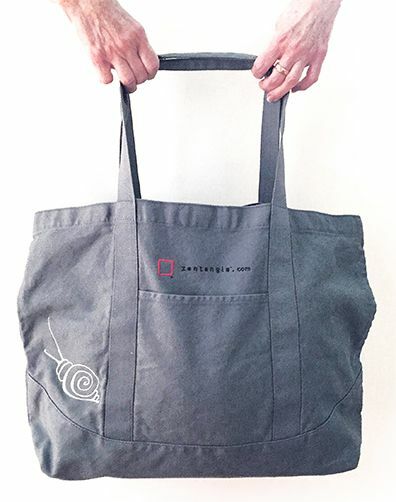 With Bijou's guidance (and a bit of pestering), we are thrilled to present these lovely and practical canvas tote-bags embroidered with Bijou and our Zentangle name and logo. All seminars are now about two-thirds full. From our home and from our hearts to you and yours, we send our greetings and best wishes for this holiday season and this coming New Year.